Another of the uncertainties that I mentioned in my March Brexit Briefing was the outcome of the special Council meeting of 10 April 2019 which President Tusk called on 29 March 2019 after the draft withdrawal agreement of 14 Nov 2018 was rejected by the House of Commons for the third time. The reason for the meeting was that the United Kingdom was due to leave the European Union at 23:00 on 12 April 2019. Even before she was obliged to do so by s.1 of the European Union (Withdrawal) Act 2019, the Prime Minister applied for an extension of the notification of the period provided by art 50 (3) of the Treaty of European Union by a letter dated 5 April 2019. The European Council referred to that letter in paragraph (8) of the recitals to its decision of 11 April 2019 extending that notice period to 31 Oct 2019 at the latest. "This decision shall cease to apply on 31 May 2019 in the event that the United Kingdom has not held elections to the European Parliament in accordance with applicable Union law and has not ratified the Withdrawal Agreement by 22 May 2019." "...... under Article 50(3) TEU, the Withdrawal Agreement may enter into force on an earlier date, should the Parties complete their respective ratification procedures before 31 October 2019. Consequently, the withdrawal should take place on the first day of the month following the completion of the ratification procedures or on 1 November 2019, whichever is the earliest. " "This further extension cannot be allowed to undermine the regular functioning of the Union and its institutions. Furthermore, it will have the consequence that the United Kingdom will remain a Member State until the new withdrawal date, with full rights and obligations in accordance with Article 50 TEU, and that the United Kingdom has a right to revoke its notification at any time. If the United Kingdom is still a Member State on 23-26 May 2019, and if it has not ratified the Withdrawal Agreement by 22 May 2019, it will be under an obligation to hold the elections to the European Parliament in accordance with Union law. In the event that those elections do not take place in the United Kingdom, the extension should cease on 31 May 2019. The European Council takes note of the commitment by the United Kingdom to act in a constructive and responsible manner throughout the extension period in accordance with the duty of sincere cooperation, and expects the United Kingdom to fulfil this commitment and Treaty obligation in a manner that reflects its situation as a withdrawing Member State. To this effect, the United Kingdom shall facilitate the achievement of the Union’s tasks and shall refrain from any measure which could jeopardise the attainment of the Union’s objectives, in particular when participating in the decision-making processes of the Union." "This extension excludes any re-opening of the Withdrawal Agreement. Any unilateral commitment, statement or other act by the United Kingdom should be compatible with the letter and the spirit of the Withdrawal Agreement, and must not hamper its implementation. Such an extension cannot be used to start negotiations on the future relationship." Anyone wishing to discuss this article or brexit generally may call me on 020 7404n 5252 during office hours or send me a message through my contact page. "Had all gone according to plan, this would have been my first post-exit day Brexit Briefing. However, the UK is still a full member of the European Union at least until 12 April 2019 on the terms that I mentioned in Extension of Art 30 Notice Period 27 March 2019. What happens after that will depend on the European Council meeting which shall take place on 10 April 2019, the current discussions between the Prime Minister and the Leader of the Opposition and the fate of the European Union (Withdrawal) (No 5) Bill in the House of Lords." At least one of those uncertainties has been removed as the Bill cleared the Lords almost as quickly as it cleared the Commons. It has received royal assent and is now law. Interpretation, commencement, extent and short title. "In deciding for the purposes of subsection (6) whether an extension cannot end earlier than 22 May 2019, the earlier ending of the extension as a result of the entry into force of the withdrawal agreement (as provided for in Article 50(3) of the Treaty on European Union) is to be ignored." "A statutory instrument containing regulations under section 20( 4) may not be made unless a draft of the instrument has been laid before, and approved by a resolution of, each House of Parliament." "A statutory instrument containing regulations under section 20 (4) is subject to annulment in pursuance of a resolution of either House of Parliament." S.3 (1) provides for the Act to come into force as soon as it receives royal assent. Anyone wishing to discuss this article or brexit generally should call me on 020 7404 5252 during office hours or send me a message through my contact form. Had all gone according to plan, this would have been my first post exit day Brexit Briefing. However, the UK is still a full member of the European Union at least until 12 April 2019 on the terms that I mentioned in Extension of Art 30 Notice Period 27 March 2019. What happens after that will depend on the European Council meeting which shall take place on 10 April 2019, the current discussions between the Prime Minister and the Leader of the Opposition and the fate of the European Union (Withdrawal) (No 5) Bill in the House of Lords. Since the last Brexit Briefing, there has been a massive demonstration for a second referendum on the streets of London (see Brexit march: Million joined Brexit protest, organisers say 23 March 2019 BBC website) and 6,061,092 individuals appear to have signed an online petition to revoke Mrs May's notification of intent to withdraw from the EU which she served on 29 March 2017. President Tusk referred to those manifestations of support for the European Union in his address to the European Parliament which elicited the response from Richard Ashworth MEP shown above. These are but straws in the wind but it is probably fair to say that the danger of a Brit8ish departure from the EU without a withdrawal agreement has receded slightly and the prospects of remaining within the bloc either through a second referendum or a straightforward revocation have advanced slightly. Both the European Union and the United Kingdom have been making preparations for the UK's departure from the EU without a deal, According to the Commission's press release of 25 March 2019, the EU's preparations are complete and can be viewed on its Brexit preparedness website. British preparations are continuing and those that have been made so far appear on the Prepare for EU Exit site. Anyone wishing to discuss this article or brexit, in general, should call me on 020 7404 5252 during office or send me a message through my contact page. withdrawal of the UK from the EU without an agreement. The government chose the third of those options. It applied to the European Council for an extension of the notification period. The Council granted its application by a decision dated 22 March 2019. The decision is a very short document. It consists of 2 articles and 12 paragraphs of recitals. The effective provision is art 1 which is divided into 2 paragraphs. The first paragraph of art 1 extends the notification period to 22 May 2019 provided that the House of Commons approves the draft withdrawal agreement by 29 March 2019. If the Commons does not do so, the second paragraph extends the notification period until 12 April 2019 in which case "the United Kingdom will indicate a way forward before 12 April 2019, for consideration by the European Council." "This extension will have the consequence that the United Kingdom will remain a Member State with all the rights and obligations set out in the Treaties and under Union law. If the United Kingdom is still a Member State on 23-26 May 2019, it will be under the obligation to hold the elections to the European Parliament in accordance with Union law. It is to be noted that the United Kingdom would have to give notice of the poll by 12 April 2019 in order to hold such elections." If the Commons fails to ratify the withdrawal agreement by 29 March 2018, the choices for the government are to leave the EU without a deal on 12 April 2019, seek a longer extension to the notification period which would require this country to participate in the European Parliament elections or revoke its notification of 29 March 2017. "This Government will not revoke Article 50. We will honour the result of the 2016 referendum and work with Parliament to deliver a deal that ensures we leave the European Union. Be that as it may, the march and petition appear to have spooked at least some MPs into reconsidering their opposition to the draft withdrawal agreement. Anyone wishing to discuss this article or brexit, in general, should call me on 020 7404 5252 during office hours or send me a message through my contact form. This is the last Brexit Briefing before the two-year notice period provided by art 50 (3) of the Treaty on European Union runs out. We still do not know whether the UK will leave the EU on 29 March 2019, and, if it does leave, whether it will leave with or without the withdrawal agreement that the Commission and a departing state are supposed to negotiate and conclude by art 50 (2). If Parliament approves the draft agreement of 14 Nov 2018 before the 29 March, EU law will continue to apply to the UK until 31 Dec 2020, The agreement and the accompanying political declaration contain a number of provisions on IP which I discussed in The Intellectual Property Provisions of the Draft Withdrawal Agreement 19 Nov 2018 and in my presentation to Sheffield Business and IP Centre on 6 March 2019. They will be implemented by a number of draft statutory instruments which I listed on slide 31 of that presentation. If the government loses the forthcoming vote on the draft withdrawal agreement next week, it is possible (though perhaps not particularly likely) that Parliament will vote for an extension of the notice period or even revocation of the notification of the 29 March 2017. An extension would have to be agreed by the remaining member states in accordance with art 50 (3) and they would have to be persuaded that there is a good reason to do so such as a second referendum which could lead to revocation of the notification. Should that happen there will be no change to our law at least until the extended notice period runs out. The last possibility (and an increasingly likely one) is that time will run out without an extension or draft withdrawal agreement. Were that to happen, legislation derived from EU directives will be saved by s.2 of the European Union (Withdrawal) Act 2018 and EU regulations would be incorporated into national law by s.3 mutatis mutandis pursuant to s.8. The statutory instruments listed in slide 31 would then take effect from 23:00 on 29 March 2019. Of course, there would be lots of other issues. The Senior Courts and their equivalents in Scotland and Northern Ireland would cease to EU trade mark and Community design courts and Regulation (EU) No 1215/2012 on Jurisdiction and the Recognition and Enforcement of Judgments in Civil and Commercial Matters would cease to apply to the UK. As I noted in my article of 19 Nov 2018, both the draft withdrawal agreement and the political declaration are silent on British participation in the Unified Patent Court. The government argues that the agreement to set up the Court is an international treaty outside the EU legal order and that the UK could remain a party to the agreement even if it leaves the EU without a withdrawal agreement. For the reasons set out in my presentation, I regard that argument as unrealistic. Anyone wishing to discuss this article or brexit and intellectual property, in particular, should call me on 020 7404 5252 during office hours or send me a message through my contact page. "With regard to patents and SPCs, the guidance notes that few areas of patent law derive from EU legislation. Pharmaceutical and agrochemical products are important exceptions in that SPCs provide an additional period of protection for those inventions after their patents run out. There are also special provisions for biotechnological inventions, compulsory licences for patented medicines and limitations to the scope of a patent monopoly to permit trials and tests and other activities. The note states that s.2 of the European Union (Withdrawal) Act 2018 will preserve the relevant EU legislation and s.3 will incorporate it into our law." Part 8 (regs 51 - 69) Supplementary Protection Certificates for Medicinal Products - Amendments to Reg (EC) No 469.2009. The Patents and Plant Variety Rights (Compulsory Licensing) Regulations2002 (SI 2002/247) implement parts of Directive 98/44/EC on the legal protection of biotechnological inventions. The EU regulations on supplementary protection certificates are directly effective. SPC (supplementary protection certificates) extend the monopoly granted by a patent for up to 5 years after the patent's expiry to make up for the time needed to obtain regulatory approval for the distribution of the patented invention. To make sure that SPCs continue to be available, the statutory instrument replaces references to the EU and its institutions or member states with references to the UK, the Intellectual Property Office and other British organizations. I shall mention this draft legislation at the 11th Annual Forum on Pharma Biotech Patent Litigation in Amsterdam, 26 and 27 Feb 2019. Anyone wishing to discuss this article, the draft statutory instrument or patents and brexit generally should call me on 020 7404 5252 during office hours or sending me a message through my contact form. nothing can happen at all in which case the UK will leave the EU at 23:00 on 29 March 2019 and the Treaty of European, the Treaty on the Functioning of the European Union and all regulations and directives made under those treaties since 1 Jan 1973 will cease to apply to the UK. Businesses should apply for all eventualities including the last however many resolutions MPs may pass against British departure without a withdrawal agreement. 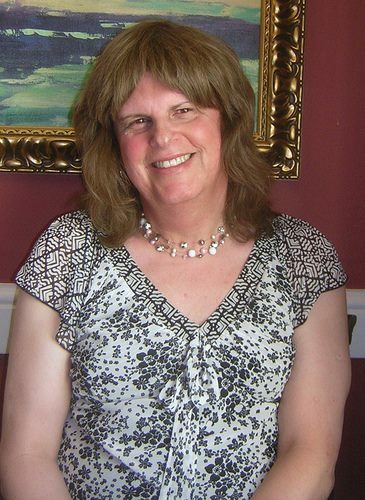 As the purpose of this blog is to provide legal discussion and not engage in controversy I shall not opine on which of those outcomes is most likely and which is more desirable. All I will say is that businesses and individuals should keep a sense of proportion. There may well be additional costs, delays at frontiers and other inconveniences if the UK leaves the EU without a withdrawal agreement but the prospect of civil unrest on such a scale that the Queen's safety would be at risk is improbable (see Queen to be evacuated if Brexit turns ugly – reports 3 Feb 2019 The Guardian). Brexit will not change geography or history or repeal the laws of economics. We shall continue to do all kinds of business with our neighbours and commercial, cultural, security and personal relationships will not vanish overnight. 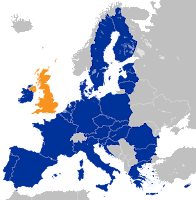 The UK will remain in the Council of Europe, the North Atlantic Treaty Organization, the World Trade Organization and other regional and global agreements such as the European Patent Convention. Some of the additional costs, risks and uncertainties can be mitigated by forward planning and agreement for which specialist legal advice may be required. Anybody wishing to discuss this article in general and their rights and liabilities, in particular, may call me on +44 (0)20 7404 5252 during office hours or send me send me a message through my contact page. By a letter dated 14 Jan 2019, the Prime Minister asked the Presidents of the European Council and the Commission for certain assurances on the intended operation of the Draft Agreement on the withdrawal of the United Kingdom of Great Britain and Northern Ireland from the European Union and the European Atomic Energy Community of 14 Nov 2018. Those Presidents, Donald Tusk and Jean-Clause Juncker, have replied to the Prime Ministers by a letter of even date. "The strong future partnership between the United Kingdom and the European Union described in our joint Political Declaration of 25 November 2018 is in the interests of all our citizens, and an important signal to the world of our intent to continue to work together for our shared prosperity and security, and also to promote and defend our common interests and values." She acknowledged that will not and cannot be the same relationship as the UK enjoyed as a member state but it is the best that can be achieved in the circumstances. She warned that the Withdrawal Agreement was at risk "because of concerns in the UK Parliament about how we are delivering on our commitments in relation to Northern Ireland's border with Ireland." agree that if we are in a situation where we have negotiated a new agreement, but the backstop risks coming into force because ratification is not complete, we in the UK will do what is necessary to apply the new agreement provisionally pending ratification, rather than default to the backstop, and we expect the Commission to make the appropriate recommendations in relation to the EU too. Such provisional application is, of course, normal in trade agreements. In their reply, the two Presidents made clear that they were "not in a position to agree to anything that changes or is inconsistent with the Withdrawal Agreement". However, in order to facilitate the next steps of the process, they were happy to confirm, on behalf of the two EU Institutions they represent, their understanding of the following points within their respective fields of responsibility. 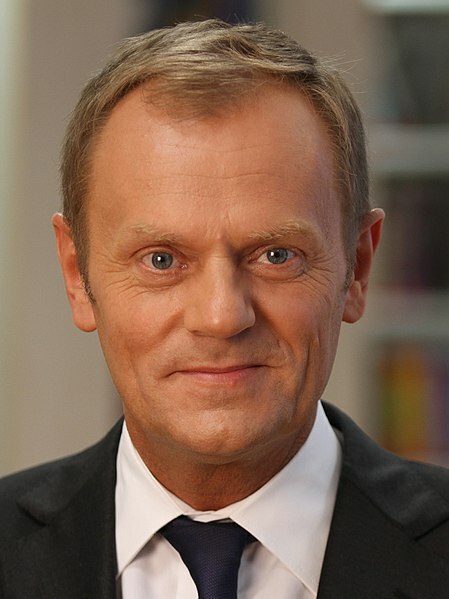 For the Council, Mr Tusk affirmed the remaining member states' intention to expedite negotiations for an agreement that will obviate the need for a backstop and agreed that the Withdrawal Agreement and political declaration on the EU's future relationship with the EU are part of the same package. On behalf of the Commission, Mr Juncker offered to prepare for the future relationship negotiations which can begin just as soon as the UK leaves the EU. The initial response to those letters from the Brexiteer MPs in the Conservative and Democratic Unionist Parties has been less than cordial but [erhaps that is only to be expected. Anyone wishing to discuss this article or Brexit generally should call me on 020 7404 5252 or send me a message through my contact form. The notification to which this paragraph refers is dated 29 March 2017. Unless Her Majesty's government enters a "withdrawal agreement" within the meaning of art 50 (3) or revokes the notification before 23:00 on 29 March 2019 the laws that govern the United Kingdom's relationship with 27 of its closest neighbours, trading partners and allies will simply fall away. Although there are some who regard that prospect with equanimity there are many others who do not. As this is a legal and not a political blog, I will not enter the argument as to whether leaving the EU without a deal would be a good thing or a bad thing beyond observing that it would be expensive and inconvenient for many businesses and individuals which could have serious, adverse economic consequences for the whole country. There are two ways of avoiding that eventuality. One would be to enter the draft withdrawal agreement of 14 Nov 2018 that was approved by the governments of the remaining member states on 25 Nov 2018. That is a "withdrawal agreement" within the meaning of art 50 (3) and it is probably as good an agreement as any British government could possibly get given the disparity in negotiating power between one member state and 27 others. The other way would be to withdraw the notification which the Court of Justice of the European Union held to be possible in its judgment in Case C‑621/18, Wightman and others v Department for Exiting the European Union ECLI:EU:C:2018:999, EU:C:2018:999,  3 WLR 1965,  WLR(D) 747,  EUECJ C-621/18 which I discussed in my case note of 11 Dec 2018. Both courses of action would require parliamentary approval. The Prime Minister has already abandoned one attempt to secure such approval for the withdrawal agreement and has rescheduled another for this month. As there is little evidence of a change of heart since her last attempt, it is possible that she may delay the attempt again in the hope that resistance to the draft withdrawal agreement will crumble the closer we come to the 29 March 2019. The Prime Minister has already proved her skills as a tactician in the way that she routed her opponents in the parliamentary party by holding a confidence vote before they had time to organize. Whether delaying a vote on the withdrawal agreement until the last possible moment will work remains to be seen but, at present, it seems unlikely. The revocation of the notification of 17 March 2017 is even less likely. Ir would lead to howls of protest in sections of the press and Conservative Party. Parliament would be accused of defying "the will of the people" though it has done precisely that in very similar circumstances as I explained in The Western Australian Secession Referendum - A Precedent for Dealing with Troublesome Referendums? 17 Dec 2018. As I added in Sometimes it is a Good Thing to ignore Referendums 19 Dec 2018, that decision turned out to be the right thing to do. The Court of Justice made clear that any revocation of a notification under art 50 (2) would have to be in good faith. The British government could not do it with the intention of issuing a new notification simply for internal political reasons. It would also have to be prepared to hold elections for the European Parliament in May 2019. In Future Relationship Agreements with the EFTA States 3 Jan 2018 I explained that future relationship agreements were required not just with the remaining member states of the European Union but also with the member states of the European Free Trade Association ("EFTA"). All the EFTA states except Switzerland are members of the European Economic Area ("EEA") which provides for free movement of labour. As a result, significant numbers of British citizens to live in Iceland, Liechtenstein, Norway and Switzerland and many Icelandic, Liechtenstein, Norwegian and Swiss citizens have moved here. As the current British government believes that the Brexit referendum result requires the UK to leave the EEA as well as the EU, provision has to be made for those expatriates as well as for the continuation of accrued rights of businesses and individuals that have been acquired under the EU legislation that extends to the whole of the EEA. The governments of Iceland, Liechtenstein, Norway and the United Kingdom have addressed those issues in an Agreement on arrangements between Iceland, the Principality of Liechtenstein, the Kingdom of Norway and the United Kingdom of Great Britain and Northern Ireland following the withdrawal of the United Kingdom from the European Union, the EEA Agreement and other agreements applicable between the United Kingdom and the EEA EFTA States by virtue of the United Kingdom’s membership of the European Union which they announced on 20 Dec 2018. I discussed that agreement in my article yesterday. One of the issues covered by that Agreement is intellectual property. The provisions on intellectual property fall within Title II of Part Three of the Agreement. Arts 46 and 47 deal with geographical indications, art 48 continued protection of databases and art 49 exhaustion of rights. (b) in view of the geographical indication concerned, the first subparagraph of Article 15 (3), Article 16 and Article 23 (1) of Regulation (EC) No 110/2008 and, in so far as to the extent related to compliance with those provisions of that Regulation, Article 24 (1) of that Regulation. 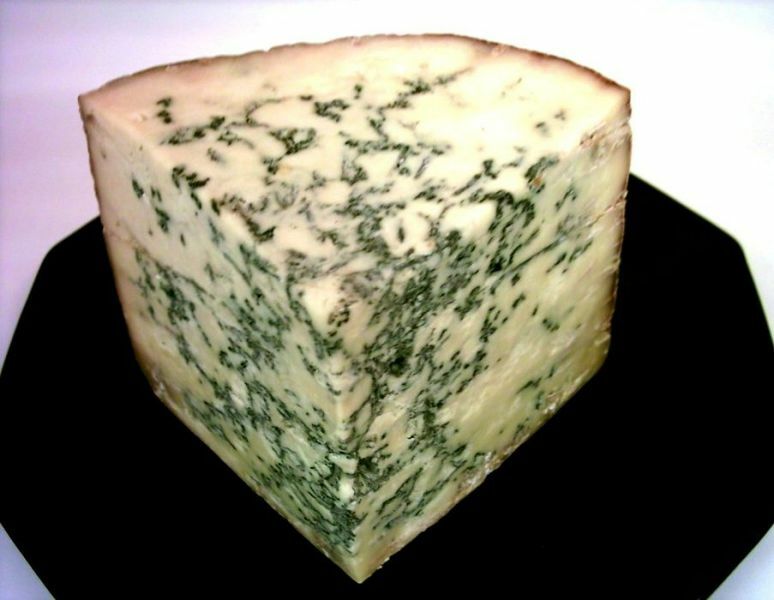 Where a geographical indication referred to in the first subparagraph ceases to be protected in the EEA EFTA States after the end of the transition period, the first subparagraph shall cease to apply in respect of that geographical indication. The first subparagraph shall not apply where protection in the EEA EFTA States is derived from international agreements, other than the EEA Agreement, to which the EEA EFTA States are party. This Article shall apply unless and until an agreement that supersedes this Article enters into force or becomes applicable." Art 47 (1) of the Future Relationship Agreement requires no charge to be made for the registration, grant or protection of a geographical indication under the new British scheme. Indeed, art 47 (2) makes clear that it will not even be necessary to make an application or undertake any particular administrative procedure to gain protection under the new scheme. However, art 47 (3) reserves a right for the British government to charge renewal fees under its proposed new scheme and allows for the surrender of rights under such scheme. Directive 96/9/EC of the European Parliament and of the Council of 11 March 1996 on the legal protection of databases (OJ L 77, 27.3.1996, p. 20–28) required EEA member states to create a new intellectual property right known as "database right"to protect investment in obtaining, verifying and presenting the contents of a database. One of the conditions for the subsistence of database right is that the person who takes the initiative in obtaining, verifying or presenting the contents of a database and assumes the risk of investing in that obtaining, verification or presentation ("the maker") is a national, corporation or partnership that includes a national of a European Economic Area member state. In the absence of any agreement, nationals, corporations and partnerships from the UK will lose database protection in Iceland, Liechtenstein and Norway after the UK leaves the EEA and, conversely, databases made by makers in those states will lose their database rights protection here. Art 48 provides for the continued protection of the database rights of British makers in Iceland, Liechtenstein and Norway and for the continued protection of Icelandic, Liechtenstein and Norwegian makers here. "A registered trade mark is not infringed by the use of the trade mark in relation to goods which have been put on the market in the European Economic Area under that trade mark by the proprietor or with his consent." After the UK leaves the EEA this provision will no longer apply to Iceland, Liechtenstein and Norway in the absence of a specific agreement to the contrary. Art 49 of the Future Relationship Agreement provides that IPR which were exhausted both in those states and in the UK before the end of the transition period under the provisions of the EEA Agreement shall remain exhausted both in those states and in the UK. The Future Relationship Agreement refers in many places to a transition or implementation period which will come into being only if the UK concludes the draft withdrawal agreement with the remaining EU member states. If the UK leaves the EU without such an agreement, the Future Relationship Agreement would require substantial last-minute modification if indeed it were to come into effect at all. The negotiations with the EEA states have been carried out without much fuss or publicity and the Future Relationship Agreement is a lot simpler and shorter so renegotiation may be possible if all parties retain the political will to do so. On 20 Dec 2018, the Department for Exiting the European Union announced that the government had reached agreement with the governments of the EFTA member states on the UK's relationship with those states after 29 March 2019. As Switzerland is a full member of EFTA but not of the European Economic Area (EEA") separate agreements have been made with the EFTA states that are party to the EEA Agreement - namely Iceland, Liechtenstein and Norway - and also with Switzerland. The European Free Trade Association was established on 3 May 1960 by countries that were unable or unwilling to join the European Economic Community ("EEC"). Its founding members were Austria, Denmark, Norway, Portugal, Sweden, Switzerland and the United Kingdon. Iceland joined them in 1970. Denmark and the United Kingdom left EFTA to join the EEC in 1973. They were followed by Portugal in 1986 and Austria, and Sweden in 1995. Iceland and Liechtenstein joined EFTA after the UK left. The current members are Iceland, Liechtenstein, Norway and Switzerland. They have a combined land area of 204,500 square miles which is slightly smaller than France and a population of just over 14 million which is about the same as the Istanbul metropolitan area. The EEA consists of the states that are party to the Agreement on the European Economic Area. They include all the states of the European Union plus Iceland, Liechtenstein and Norway. It enables the contracting states to participate in the EU's single market and in some but no all other programs. Switzerland has not yet ratified that Agreement but it has a number of bilateral agreements with the EU that enable it to participate in the single market. The EEA Agreement guaranteed free movement of people with the result that there are many British citizens in each of the EFTA states and citizens from each and every one of the EFTA states in the UK. The current British government interprets the results of the Brtish referendum on membership of the EU as a rejection of the right of free movement. It believes that the UK must leave the EEA as well as the EU. Agreement is therefore required as to what should happen to all those expatriates as well as rights that have been acquired under the EU legislation that extends to the EGTA member states after 29 March 2919. Those matters are addressed in the Agreement on arrangements between Iceland, the Principality of Liechtenstein, the Kingdom of Norway and the United Kingdom of Great Britain and Northern Ireland following the withdrawal of the United Kingdom from the European Union, the EEA agreement and other agreements applicable between the UnitedKingdom and the EEA EFTA States by virtue of the UnitedKingdom’s membership of the European Union. The agreement is very much shorter than the draft withdrawal agreement from the EU. It is 69 pages long in contrast to the 585 of the withdrawal agreement and consists of 71 articles divided into 4 parts with 2 annexes. Part 1 (arts 1 to 7) contains the objective of the agreement, definitions and similar provisions. Part 2 (arts 8 to 37) deals with citizens' rights. 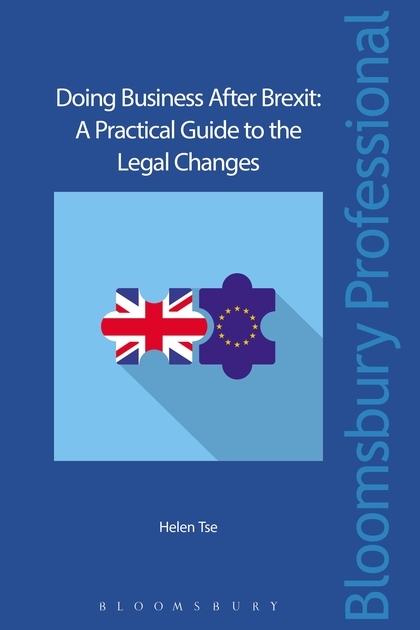 Part 3 (arts 38 to 63) covers the treatment of goods on the single market during the implementation period in the withdrawal agreement which runs between the 29 March 2019 and 31 Dec 2020. Also covered are intellectual property, judicial cooperation in criminal and civil matters, data protection and public [rocurement. The last part (arts 64 to 69) sets up a joint committee which will deal with the interpretation and implementation of the treaty and dispute resolution. The Department for Exiting the EU has published an explainer for that agreement. The agreement with Switzerland is even shorter and deals with citizens' rights. There is also an explainer to that agreement. Both agreements will have to be ratified by the national legislatures of the contracting parties. The European Union (Withdrawal Agreement) Bill proposed in the white paper Legislating for the withdrawal Agreement between the United Kingdom and the European Union (Cm 9674) is intended to be the instrument that ratifies the agreement in the UK.